VIDEO - adidas: Introducing the new Exhibit Pack boots! 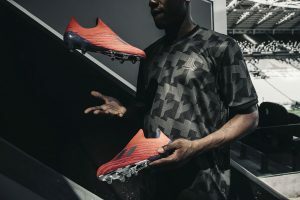 Home / International Football / Worldwide / VIDEO – adidas: Introducing the new Exhibit Pack boots! VIDEO – adidas: Introducing the new Exhibit Pack boots! Previous Bengaluru FC B take on ARA FC in a top-of-the-table clash! Next UEFA report details European football’s journey to profitability!